Elbow down, knee out, you quickly pass the apex confident in your line . . . until you realize your entry speed was too high and you're rapidly approaching the edge of the track. You push the inside bar just a bit more while that little voice in your head says "Will my leathers protect me when I hit the ground .2 seconds from now?" Is that what you want to be worrying about when you're in that situation? We guarantee that if any of our main seams fail in a crash* , we will repair or replace your suit for free within the warranty period of your suit. The Spartan Charge One-Piece Race Suit is our most affordable set of motorcycle racing leathers, that still outperforms anything else in its price range. 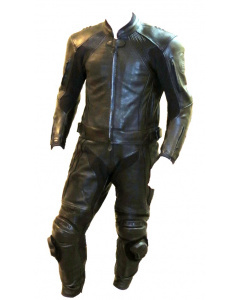 Impressive construction techniques and a materials list that makes the competition cry add up to make these motorcycle leathers sure to impress you the first time you see them, and even more so the first time you crash in them, although we'd prefer you keep your motorcycle shiny side up. 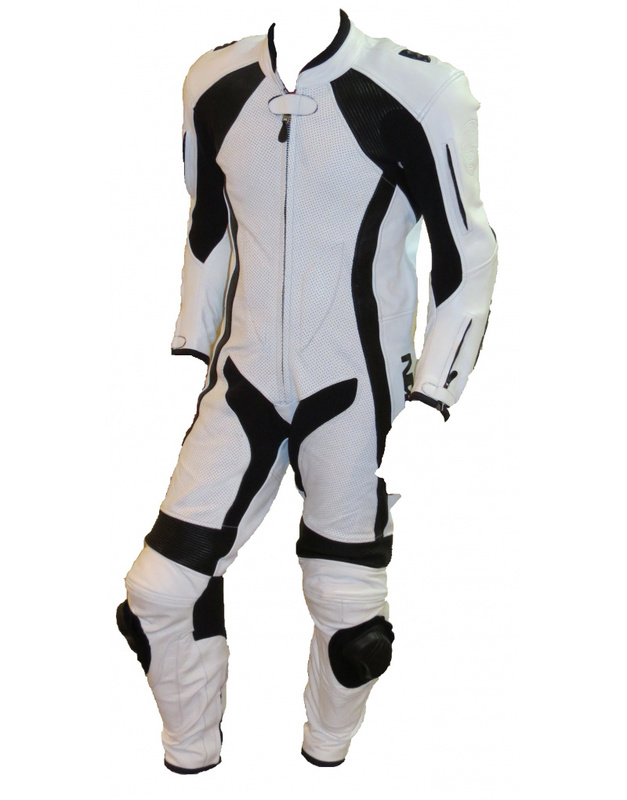 Or you can order your Off-the-rack Charge suit in Custom Colors (on a Special Order basis) for only $30 extra!! FAQ: Can I get other colors besides just Black and White? A: Yes, on a special order basis. There is an extra $30 fee to cover additional shipping expenses, and it will take 4-8 weeks to arrive. These special order suits would have the same return policy as custom suits, so it may be worthwhile to get one of our standard rack sizes to ensure fit before ordering the custom colored suit.